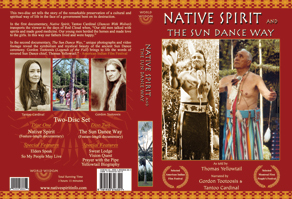 Native Spirit & The Sun Dance Way are two unique, feature-length documentaries contained in a 2-Disc DVD with an additional 90 minutes of rich special features. Total Running time: 3 hrs. 15 min. In Native Spirit, Cree Indian actress Tantoo Cardinal (Dances with Wolves), transports the viewer to the days of Red Cloud when, "Our old men talked with spirits and made good medicine. Our young men herded the horses and made love to the girls. In this way we lived and were happy". The voices of Plenty Coup, Fools Crow, Black Elk and other great leaders of their day, convey the heartbreaking story of their people’s oppression and their ultimate triumph of the spirit. 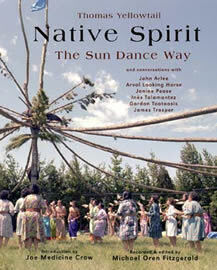 A beautiful full color companion book, Native Spirit: The Sun Dance Way, is also available. 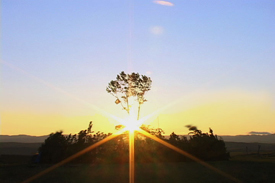 The words of Thomas Yellowtail, and quotes from elders from several tribes across the United States and Canada, are illustrated with breathtaking images of this unique cultural and sacred ceremony. For more details on the 2 Disk DVD set click below. For more details on the book click below.